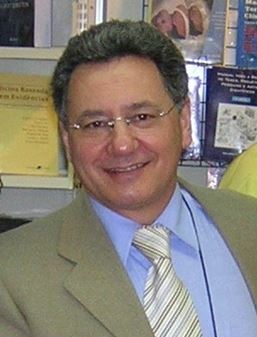 Editor do livro Diagnóstico e Tratamento em Pneumologia, da Sociedade Brasileira de Pneumologia e Tisiologia, 2006. 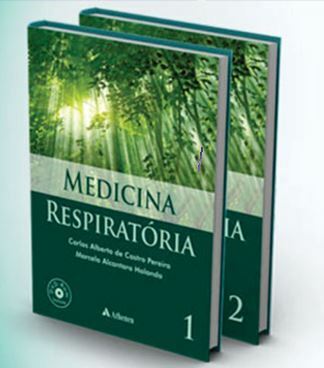 Editor do livro Medicina Respiratória, Atheneu 2014, ganhador do prêmio Jabuti – 2º melhor livro na área de Ciências da Saúde em 2014. Novos valores de referência para espirometria forçada em brasileiros adultos de raça branca. Pereira CAC, et al. J Bras Pneumol; 2007; 33: 397-406. Baughman RP, Drent M, Culver DA, Grutters JC, Handa T, Humbert M, Judson MA,Lower EE, Mana J, Pereira CA, Prasse A, Sulica R, Valyere D, Vucinic V, Wells AU. Endpoints for clinical trials of sarcoidosis. Sarcoidosis Vasc Diffuse Lung Dis. 2012;29:90-8. Soares AL, Pereira CA. Spirometric changes in obstructive disease: after all, how much is significant? J Bras Pneumol. 2013; 39:56-62. Pereira CA, Duarte AA, Gimenez A, Soares MR. Comparison between reference values for FVC, FEV1, and FEV1/FVC ratio in White adults in Brazil and those suggested by the Global Lung Function Initiative 2012. J Bras Pneumol. 2014;40:397-402. King TE Jr, Bradford WZ, Castro-Bernardini S, Fagan EA, Glaspole I, Glassberg MK, Gorina E, Hopkins PM, Kardatzke D, Lancaster L, Lederer DJ, Nathan SD, Pereira CA, Sahn SA, Sussman R, Swigris JJ, Noble PW; ASCEND Study Group. A phase3 trial of pirfenidone in patients with idiopathic pulmonary fibrosis. N Engl JMed. 2014; 370:2083-92. Oliveira RK, Pereira CA, Ramos RP, Ferreira EV, Messina CM, Kuranishi LT, Gimenez A, Campos O, Silva CM, Ota-Arakaki JS. A haemodynamic study of pulmonary hypertension in chronic hypersensitivity pneumonitis. Eur Respir J. 2014; 44:415-24. Soares MR, Pereira C, Ferreira R, Nei Aparecida Martins Coletta E, Silva Lima M, Muller Storrer K. A score for estimating survival in idiopathic pulmonar fibrosis with rest SpO2>88%. Sarcoidosis Vasc Diffuse Lung Dis. 2015;32(2):121-8. KuranishiLT, Leslie KO, Ferreira RG, Coletta EA, Storrer KM, Soares MR, de Castro Pereira CA. Airway-centered interstitial fibrosis: etiology, clinical findings and prognosis. Respir Res. 2015;16:55. Lederer DJ, Bradford WZ, Fagan EA, Glaspole I, Glassberg MK, Glasscock KF,Kardatzke D, King TE Jr, Lancaster LH, Nathan SD, Pereira CA, Sahn SA, Swigris JJ, Noble PW. Sensitivity Analyses of the Change in FVC in a Phase 3 Trial of Pirfenidone for Idiopathic Pulmonary Fibrosis. Chest. 2015; 148:196-201. Lancaster L, Albera C, Bradford WZ, Costabel U, du Bois RM, Fagan EF, Fishman RS, Glaspole I, Glassberg MK, King Jr TE, Lederer TJ, Lin Z, Nathan SD, Pereira CA, Swigris JJ, Valeyre D, Noble PW . Safety of pirfenidone in patientswith idiopathic pulmonary fibrosis: integrated analysis of cumulative data from 5 clinical trials. BMJ Open Resp Res 2016;3: e000105.